Nissan has already confirmed that Kicks compact SUV will be launched in India and it will come with slight exterior changes compared to global model. 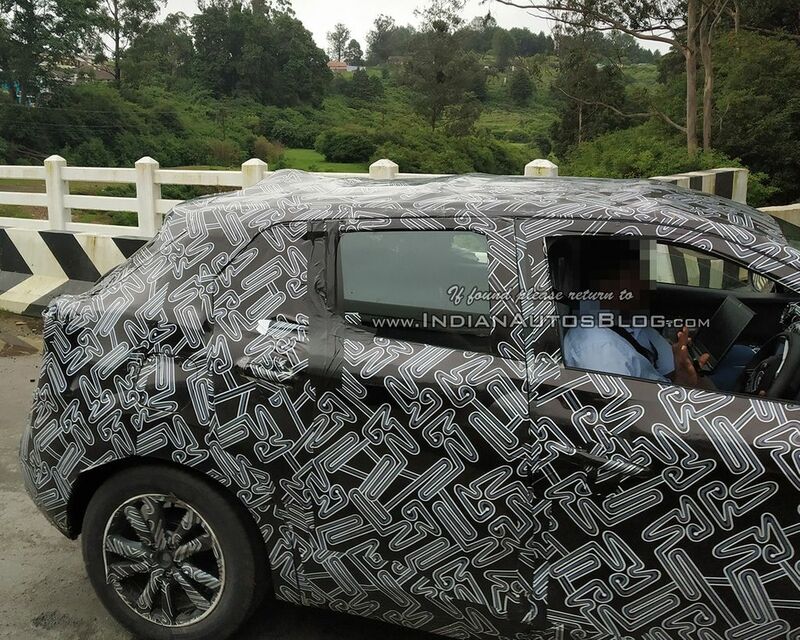 Having said that the India-spec Nissan kicks has been spotted for the first time in Nilgiri mountain roads. 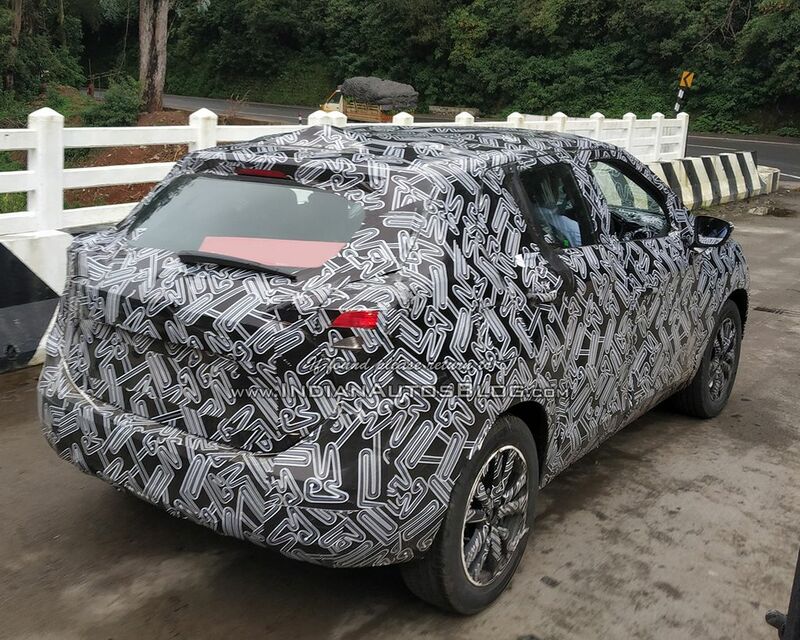 The test mule reveals that the compact SUV comes with revised rear three quarter and we can expect some changes in front also. The India-spec Kicks will be based on Renault Duster’s B0 platform as it will help the company to reduce cost and increase localization as global spec model is based on V-Platform, which will be expensive to manufacture in India. 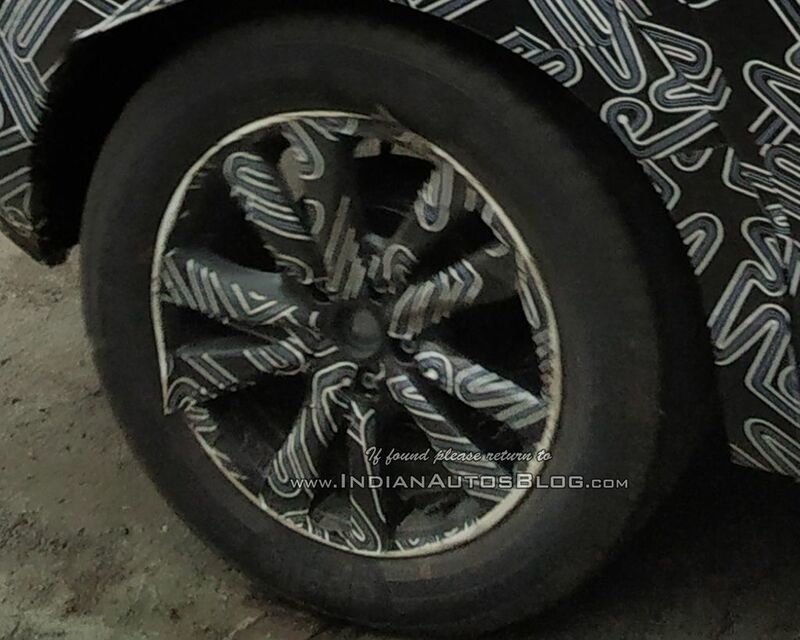 The test mule is heavily camouflaged and it comes with production-spec alloy wheels. The interior will be shared with international spec model as it comes with three spoke flat bottom multi-function steering wheel. The Japanese manufacturer has given a large MID screen in instrument cluster and speedometer is analog. The Kicks gets ‘Gliding Wing’ dashboard design with soft touch materials to give premium feel. We can expect Nissan to give leather seats on top end variant along with 7 inch touch screen infotainment system with Apple CarPlay and Android Auto, climate control, key less entry, push button start, cruise control, rain sensing wipers, automatic headlamp, electronically controlled OVRMs and more. Globally, Nissan kicks is powered by HR15 1.5 and HR16DE 1.6 L petrol engines but in India the engine lineup will be shared with Duster and Terrano. The H4K 1.5 L petrol engine puts out 106 PS and 142 Nm. The K9K diesel engine produces 110 PS of power and 240 Nm of torque. We don’t know whether Nissan will offer 85 PS engine configuration with the Kicks or not. The petrol engine will be mated to 5 speed manual and 6 speed manual for diesel engine. We can expect Nissan to offer CVT automatic transmission with both engines. 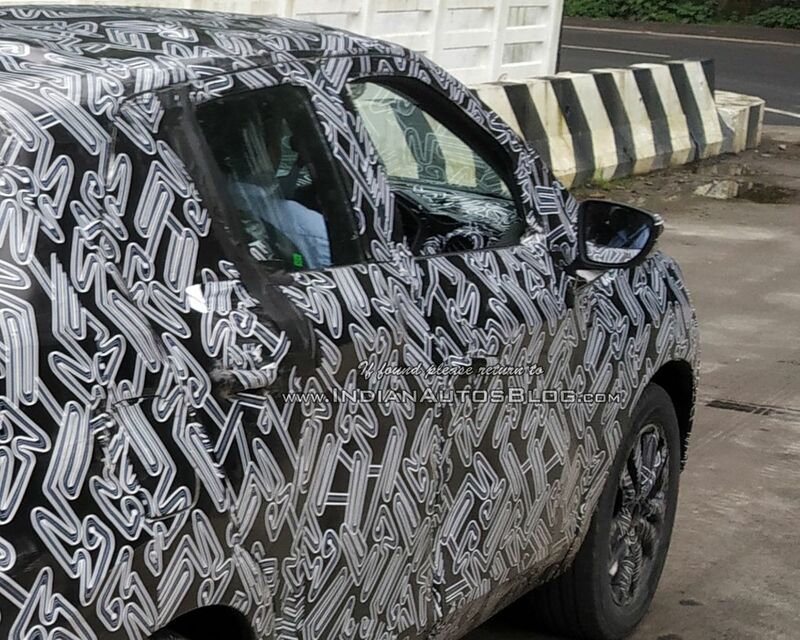 The Japanese manufacturer won’t introduce all-wheel drive system with Kicks in India. Nissan is expected to reveal Kicks by the end of this year and market launch by early 2019.